Posted by OeWF in Press Releases. 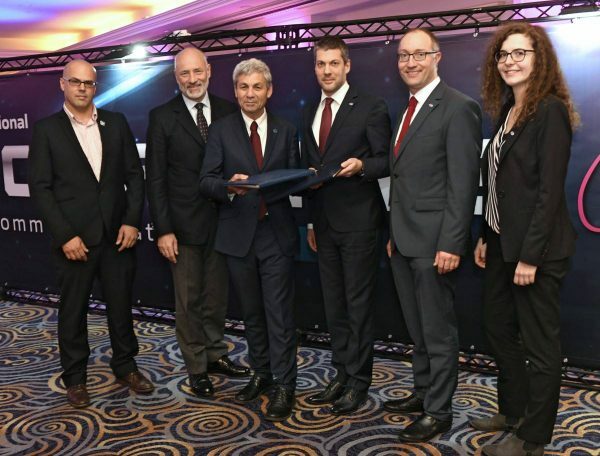 On Monday delegates of the Austrian Space Forum (OeWF) and the Israel Space Agency signed an agreement in Tel Aviv, Israel to conduct the OeWF’s next Mars-Analog-Mission in the Negev desert in Israel. The Israel Space Agency is a national agency operating under the auspices of the Ministry of Science and Technology. In the presence of the Austrian Ambassador to Israel, Martin Weiss Mag. Alexander Soucek and Sophie Gruber, BSc both board members of the Austrian Space Forum and Dr. Avi Blasberger, Director of the Israel Space Agency signed the Memorandum of Understanding for AMADEE-20. This simulation of a human mission to Mars will take place under Austrian leadership. From mid-October to mid-November 2020 a team of six analog astronauts will test procedures and experiments that shall enable future Mars explorers to detect traces of life on the Red Planet. The highly trained analog astronauts will work in isolation, assisted by the Mission Support Center in Innsbruck, Austria. Science institutions are invited to submit their experiment proposals to take part in the Mars Analog Mission by the 4th of March 2019. Dr. Gernot Grömer, Administrative Director of the Austrian Space Forum and AMADEE-20 mission-lead, ads: “In the Israel Space Agency we have gained a strong and reliable partner for our next Mars analog mission. Today’s signing of our Memorandum of Understanding marks a major milestone in the preparations for our 4-week-mission in the Negev desert. With AMADEE-20 we will increase the fidelity of our Mars mission simulations even further as our analog astronauts will perform all experiments on their own without the assistance of a field-crew.” During earlier missions a small field-crew was stationed on the test site to support the analog astronauts in preparing and maintaining the equipment used to conduct the experiments. AMADEE-20 will see the six highly trained analog astronauts carry out these tasks on their own, directed by the Mission Support Center in Innsbruck, Austria. 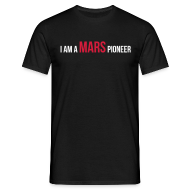 Emulating the exploration of the Red Planet the Mission Support Center will provide the mission’s detailed schedule, the so called flightplan and relay the data obtained in the field to participating science institutions all around the world. The Austrian Space Forum invites the scientific community to submit experiment proposals in the fields of geosciences, engineering, planetary surface operations, life sciences including astrobiology and human factors. The AMADEE-20 expedition will implement an “exploration cascade”, a strategically planned interplay of the respective instruments and experiments relevant for human-robotic Mars missions. Therefore the experiments will be selected in respect of their utility to support and fit into this exploration cascade. This algorithm is designed to enable the field-crew to obtain as much useful data as possible by efficiently applying manpower and equipment, which will be in limited supply not only in the Negev desert but also on the Red Planet. The test site is located in the Negev desert in southern Israel within the erosion structures of the Ramon Crater: Although not an impact crater, but a rare form of erosion structures, it has a resemblance to various Mars surface features, and a variety of terrain types relevant to Mars exploration. The test site offers a wide range of sand and rocky surfaces combined with a broad variability in inclination. Analog research is the development of equipment, procedures and experiments for the future human and robotic exploration of terrestrial planets such as Mars. Experiments are conducted in the fields of geosciences, engineering, planetary surface operations, life sciences including astrobiology and human factors. These high fidelity simulations enhance the acquisition of scientific knowledge, optimize the security of planetary surface operations and further technology-transfer. The OeWF’s analog astronauts are specifically trained spacesuit testers. After an extensive selection process they run through a several month long basic training. Analog astronauts are deployed for technical tests and Mars simulations. The Austrian Space Forum is one of the world’s leading institutions conducting Mars analog missions, thus paving the way for the future human exploration of the red planet. Experts from a broad variety of disciplines as well as the spaceflight sector constitute the core of the OeWF’s continued endeavors that on a regular basis include national and international institutions from science and industry to work at the cutting edge of scientific research. On doing so the Austrian Space Forum is using its excellent contacts to opinion leaders, politics and media to further and internationally propagate Austrian top-level research.